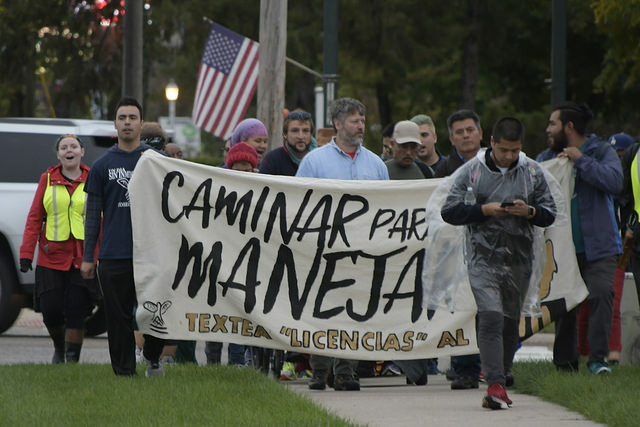 Movimiento Cosecha GR members made a pilgrammage to Lansing to advocate for drivers licenses for undocumented immigrants from Friday, October 5, 2018 to Tuesday, October 9, 2018. 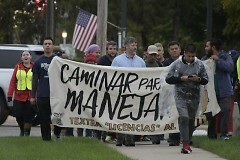 Over forty people with Movimiento Cosecha GR left Grand Rapids on Friday, October 5, 2018 and made a historic sixty-five mile march advocating for drivers licenses for undocumented immigrants. 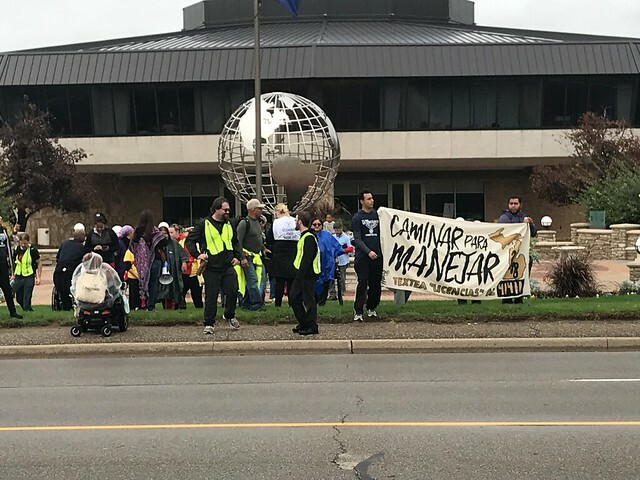 The walkers also included members from the Bronson Park Freedom Encampment in Kalamazoo, Michigan who have been fighting for housing for all. 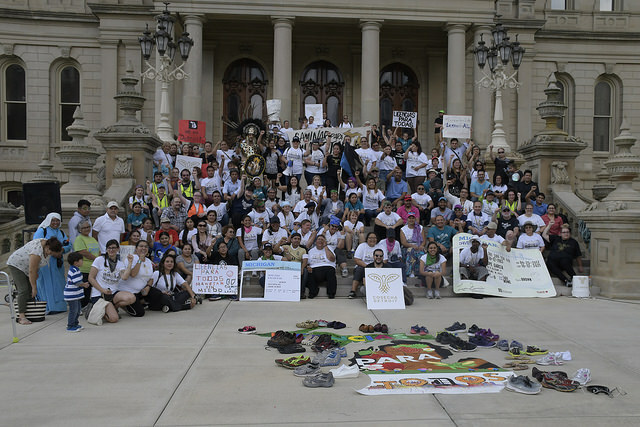 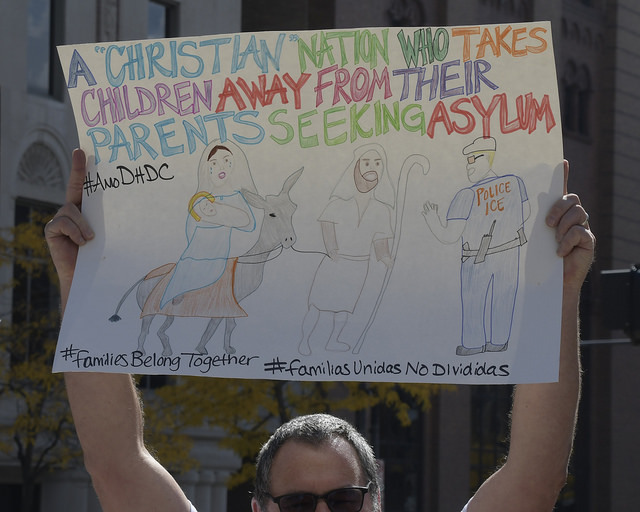 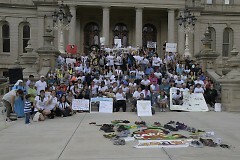 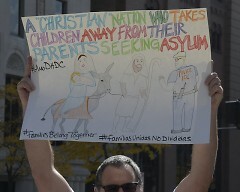 Immigrants and allies from across the state came together in Lansing, Michigan and met for a protest on the steps of the Capitol building on Tuesday afternoon, October 9, 2018.